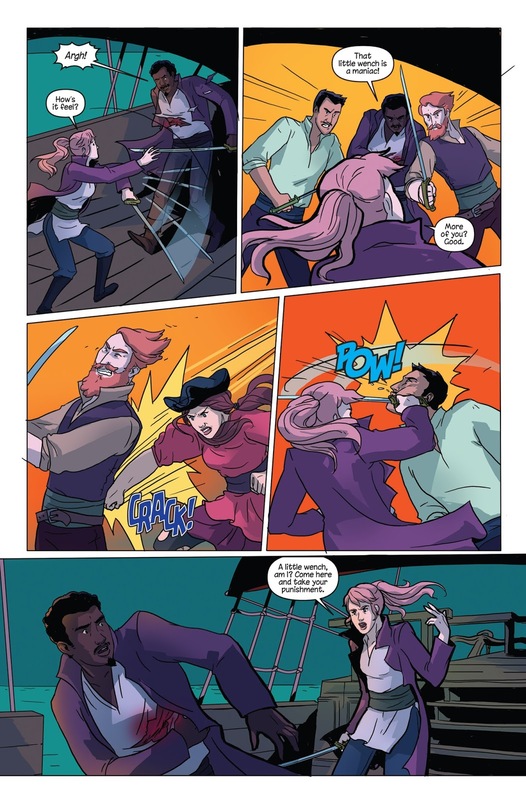 Spinning out of the pages of the award-winning PRINCELESS, pirate captain Raven continues her high seas adventure with her crew. Now that everyone is back together after the events of the previous volume, they're planning on dancing the night away. 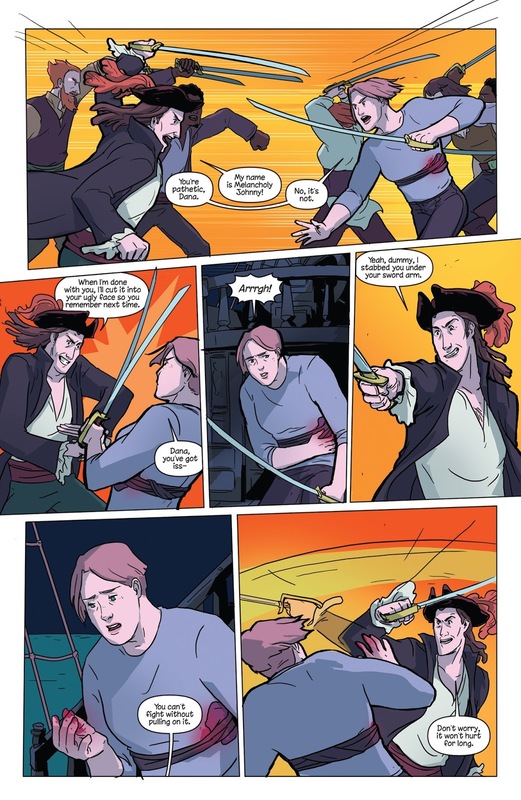 That is, until a surprise attack cuts their celebrating short and threatens the lives of the entire crew! 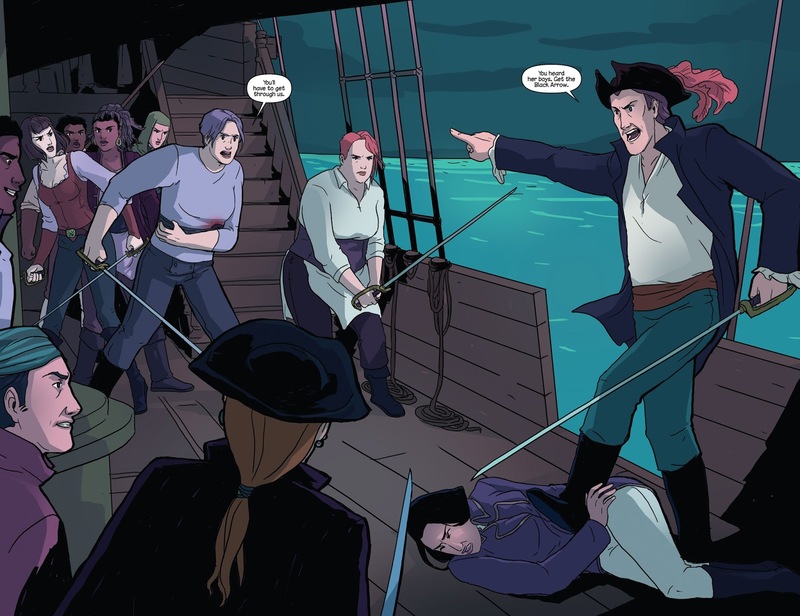 Raven has been called "the Coolest, Queerest Pirate on the Seven Seas" (Autostraddle) and "the YA lesbian heroine we’ve been waiting for" (AfterEllen). 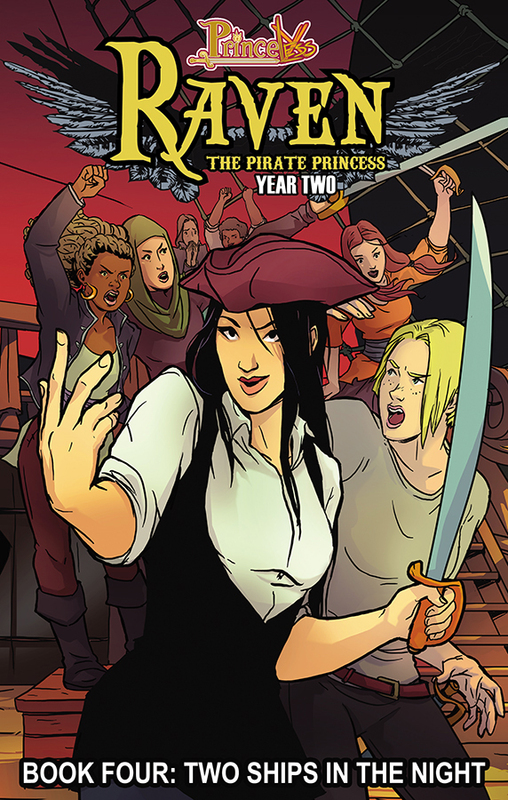 Journey along with Raven and her diverse pirate crew that represents a wide spectrum of the LGBTQ community. 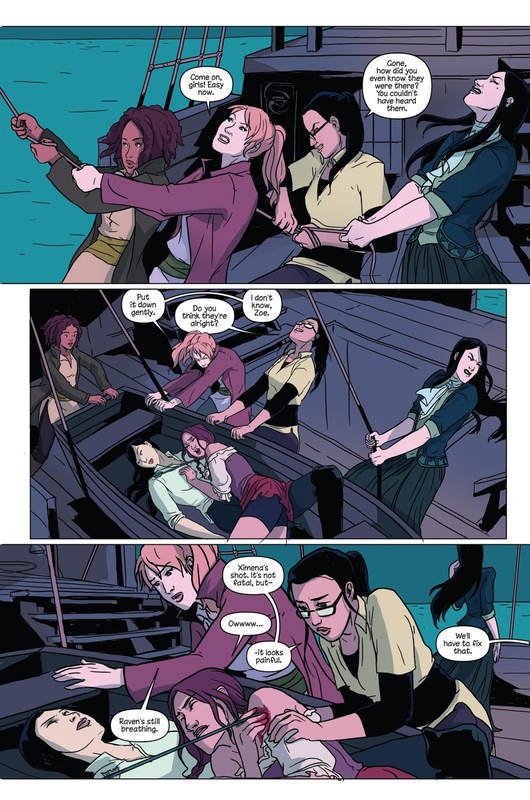 New readers will quickly get caught up to speed with this volume and returning readers will get to see the crew back in action! 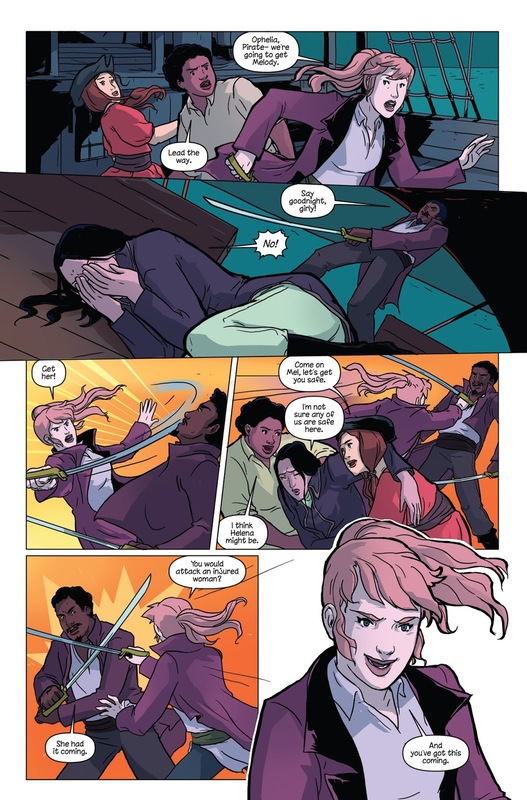 Writer Jeremy Whitley (PRINCELESS, THE UNSTOPPABLE WASP) comments, "This arc was a year in the making and picks up so much of what we started in the first year, while setting the stage for so much to come. There's romance, there's revenge, there's a pot luck and a dance party. What else could you ask for?" RAVEN BOOK 4 will be available in comic book stores on February 28, 2018. Preorder this volume with Diamond item code DEC170994. Get ready to party!